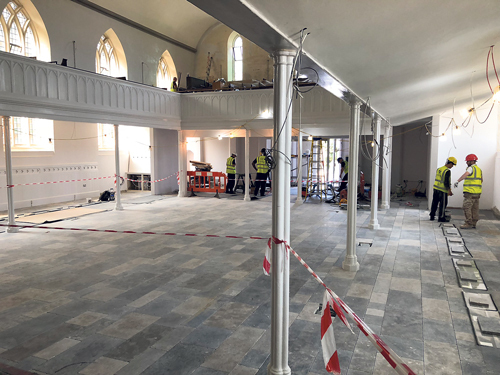 PEOPLE in Downend will be able next month to see the changes made during the £1 million transformation of Christ Church Downend. The church is planning an open weekend from October 5-7. The Rev Jo Vickery said tyhe theme would be “Open”, which was ‘a reference not just to the opening of the building and churchyard but also to the desire of the church community to be open to all. Much of the cost of the project has been spent on essential structural repairs – foundations, drains, windows and walls, roof and insulation. In addition, the church has been made accessible to all, underfloor heating installed, stone flooring laid and lighting improved. High quality wood and steel chairs have replaced pews, and technology will open up new possibilities for sound and vision. Mr Vickery said: “Christ Church remains a sacred space – a place primarily for worship and prayer, but it is now an adaptable space, an integrated space, and a beautiful and uncluttered space. We thank God for all the ways provision has been made to finance this." The weekend begins on Friday October 5 at 7pm with a service of Celebration and Rededication, with guest Bishop of Kensington Graham Tomlin, who has his roots in Downend and has taken a keen interest in the growth of the Christ Church over the years. 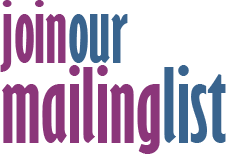 On Saturday October 6 the church will be open from 9.30am to noon for people to come and have a look round inside and out, enjoy floral displays, refreshments and a photographic exhibition. In the afternoon, there will be a bouncy castle in the church and other activities for children. The evening will bring a festival concert celebrating local talent. A Harvest Celebration with uniformed groups present will take place on Sunday October 7 at 10.30 am, followed by a Bring and Share banquet, and Songs of Harvest Praise at 6.30 pm. “Creativity, Community and Christian Spirituality are the three key aspects of our re-ordered church and this celebration weekend will showcase them all. We do hope you will come and be part of this historic moment in the life of Downend,” Mr Vickery said. Look out for more details as they appear on the church’s website and Facebook page.